Our new Elan Solar Lanterns offer great performance at a fantastic price. As comments have previously made, the lantern is smaller than what I thought they would be and plastic. I previously I have had metal lanterns so assumed these would be the Sam. On saying that, they will possibly weather better plus the length of them were 3 x longer than what I had. So value for money. Charming solar fairy lights with a difference - delivered within 3 days of ordering with clear instructions for installing them. I chose warm white lights as I bought the usual style warm white Elan fairy lights last year for a different pergola in the garden and they have performed very well. I think they look quite classy. Bought to decorate a new tree. Great little product and good value for money. Charming service. Have dealt with this company for many years - we still have a security light that has worked continuously since 2008 ! These Moroccan lanterns are so pretty, small but perfectly formed! Very pleased with the overall effect. The days of having to run electricity out to your garden to enjoy decorative lighting are gone! 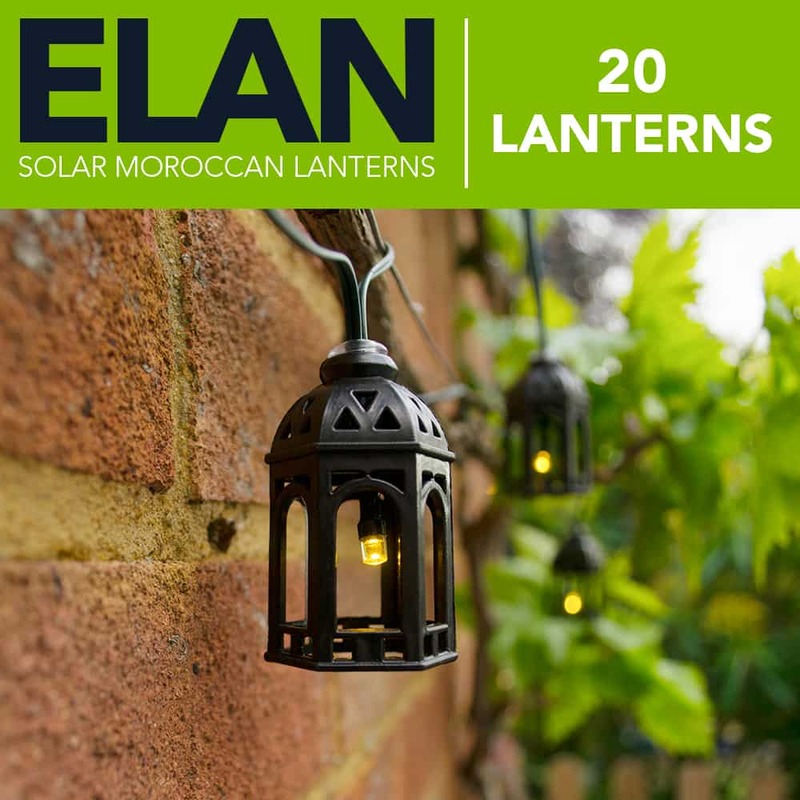 Our new Elan Solar Lanterns can be installed anywhere in your garden quickly and easily. 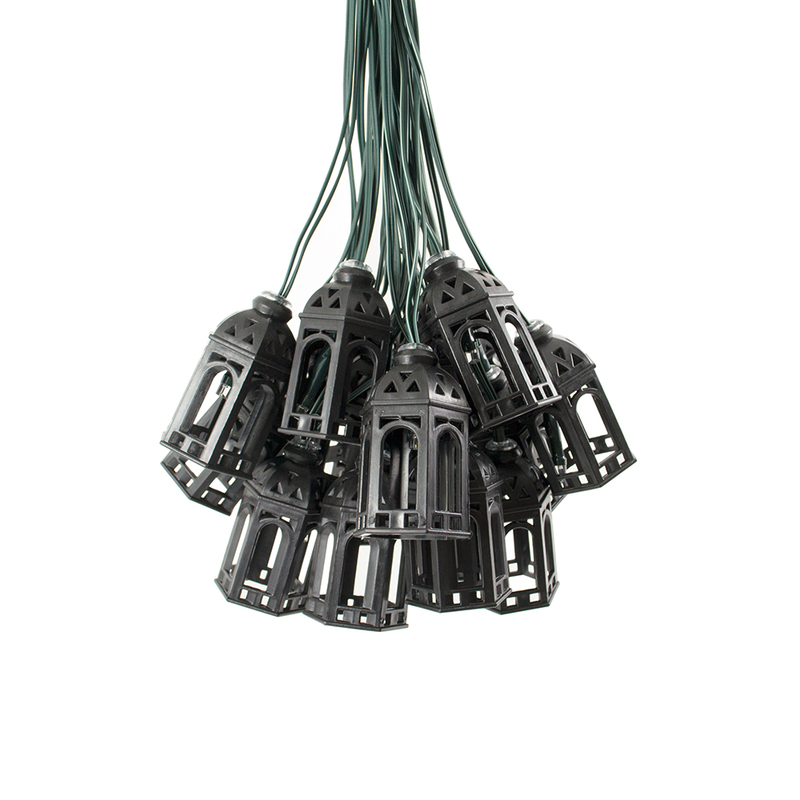 Simply drape your lights, place your solar panel, turn them on and wait until dark! Do these lanterns have a battery in the solar panel? Can you please tell the the diamensions on the lantern? Do you post to Ireland?